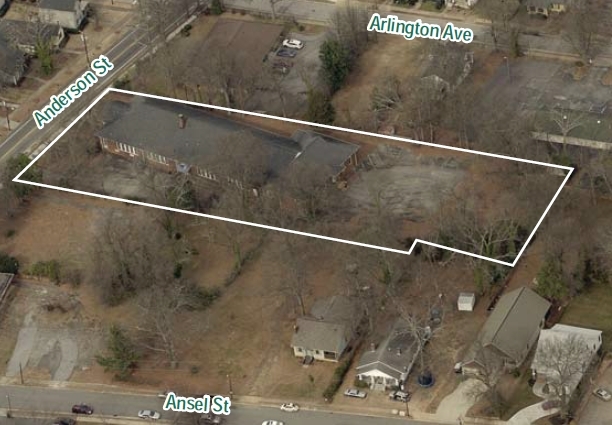 12,000 SF former school building sitting on +/- 1.20 Acres in the thriving West End of downtown Greenville, SC. This sought after gateway site in the burgeoning Historic West End District boasts park, mountain and skyline views while conveniently located on a bustling highway at a signaled intersection only blocks from Main Street, Fluor Field, Swamp Rabbit Trail, and the new City Park… just steps away from all that Greenville has to offer. 0.75 AC. on Vardry & Field St.
0.75 AC. located between Fluor Field, Vardry, and Augusta St. With a proposed condominium project for the site, this property is primed to become a staple of downtown Greenville.